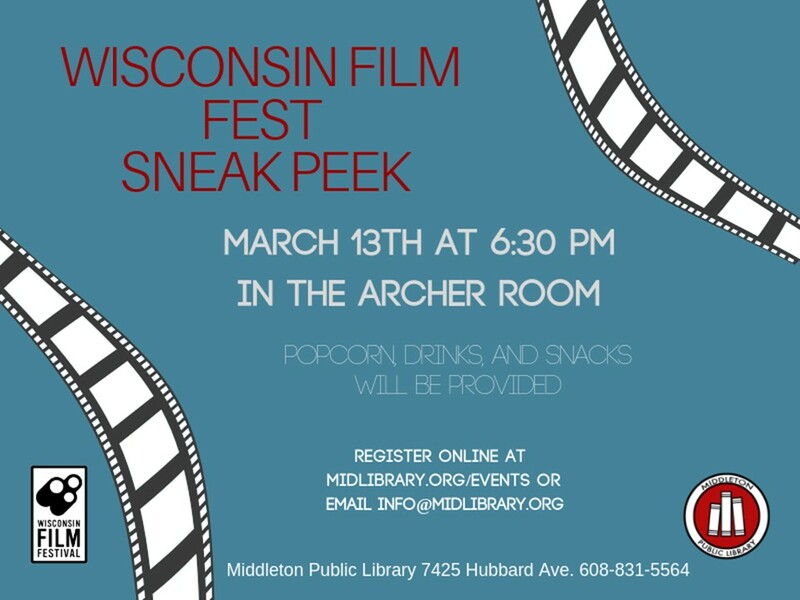 You’re invited to our fifth-annual free preview of this year’s Wisconsin Film Festival (April 4 – 11). Watch trailers from this year’s films, learn the ins and outs of the festival from festival organizers, and bring your questions about this year’s festival. Popcorn, drinks, and movie concessions will be provided. Registration is appreciated for this event: Online using the link above or by email at info@midlibrary.org.